These days, most companies have some type of funnel in their marketing, even if the names of the stages change by industry or company. For example, in B2B marketing you’ll find an evaluation stage as buying a million-dollar software package takes more thought than deciding to buy a small item on Amazon. In this post, we’ll take the DNA of Lewis’ classic sales funnel formula and apply it to social media. As you’ll see, we’ve expanded it a bit. In particular, you’ll see the addition of the evaluation stage (as these days, it’s much easier to research and compare products online) and advocacy (as social media’s greatest power is helping customers attract more customers). When building a social media strategy, a good plan of attack is to make sure your tactics cover each stage of the sales funnel. As you can see below, each step includes a specific question that your marketing strategy should answer. AWARENESS—How will potential customers find you on social media? EVALUATION—How will they use social media to compare you to competitors or similar products? ACQUISITION—How will you get them to buy or convert today? ENGAGEMENT—How will you use social channels to keep in touch with customers (so you can sell them more things later)? ADVOCACY—How will you get them to recommend your product on social channels to their friends? A common mistake of amatuer marketers is to only invest in a few stages of the funnel. For example, you’ll see popular YouTube channels with lots of traffic and awareness. But they don’t work very hard to sell you anything as they haven’t invested in their sales content. Or you’ll see a small business with a beautiful website with lots of case studies, product videos, and sales content. But they don’t have a strategy—such as a popular Instagram account or Facebook videos—to get people to their website. Use the checklist below to ensure you’ve got tactics that match every stage of the sales funnel. Avoid picking too many tactics. Limit yourself to one or two tactics for each stage, master them, and then add new ones once you’ve seen success. Your social media sales funnel needs to answer five questions. If you ignore any stage of the funnel, your marketing weakens. Pick a maximum of two tactics for each stage in the funnel. Once you’ve mastered those tactics, add new ones to your marketing plan. 1. Awareness: How will customers find you? There’s lots of ways to earn the attention of your audience. Pick one of these tactics rather than trying to do them all. Facebook Live. Here’s some hard-won lessons we’ve learned. Social media contests. Easily create 16 types here. Free content (guides, blog posts, AMAs). 101 guide here to get you started. Participate in Facebook or LinkedIn groups. Use YouTube and SEO to attract free subscribers. 18 simple tips here. Social videos. Here are a few tools to help. Create visuals such as infographics, GIFs, and Twitter cards. Quick guide here. Create content specifically for Facebook. Here are the 3 types of content that work best on Facebook. New to social ads? Check out our guide to social media advertising and click the relevant link below for our platform-specific how-to guides with tips, strategies, and examples. Facebook ads or Instagram ads. Pay influencers or hire them to do Instagram or Snapchat takeovers. This template shows you how to use influencer marketing. Build a program for micro-influencers to promote your product. Here’s our guide to working with micro-influencers. 2. Evaluation: How will they compare you to competitors or similar products? Earning attention isn’t enough. You need to make sure you’ve got enough reviews, case studies, and credible information to persuade customers. Gain positive reviews on your Facebook Page. Share glimpses into your company on Instagram. See examples in our guide here. Reviews or comments in forums like Reddit. AMA sessions in Reddit with your CEO. Created video testimonials from customers and add to your Facebook Page. Product shots and catalogues in Instagram or Pinterest. Support team answering questions on Twitter. YouTube videos with product demos. Facebook remarketing ads with product details. Sponsored Facebook posts with customer reviews or third party blog posts. 3. 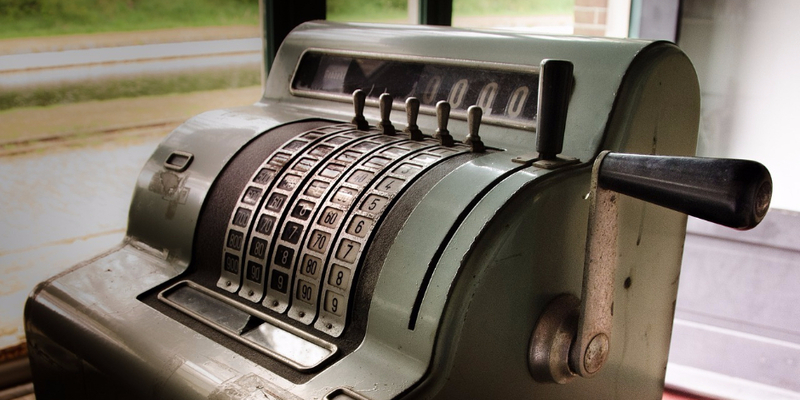 Acquisition: How will you get them to buy or convert today? Prospects need a nudge to buy. Help them take the leap with these tactics. Convert social traffic into email sign-ups (and then send them offers). Social media contests with purchase incentives. Facebook and Instagram ads with timed offers or coupons. Social contests with promotions. Download our contest launch checklist here. Facebook remarketing ads with offers. Facebook offer ads or lead ads. 4. Engagement: How will you keep in touch with this customer (so you can sell them more things later)? It’s a lot of work to find customers. Stay connected with existing customers, so you can sell them new products in the future. Hosting regular Twitter Chats. Here’s how we started ours at Hootsuite. Answer customer questions in a weekly Facebook Live series. Sponsored Facebook posts with interesting blog posts. Create a private Facebook Group for customers, helping them connect and talk about your products. 5. Advocacy: How will you get them to recommend your product to their friends? Make it easy for customers to share their experience and love for your products. This increases your credibility and attracts new customers. Private Facebook Groups for customers who have bought your product. Build an employee and customer advocacy program. Customer communities on Instagram. For example, Apple’s #shotoniphone has attracted over 1.6 million posts from customers, helping engage current customers and demonstrate the power of the iPhone’s camera to new prospects. You can pay for likes. But you can’t buy customer love. Go to the organic section for advocacy tactics. 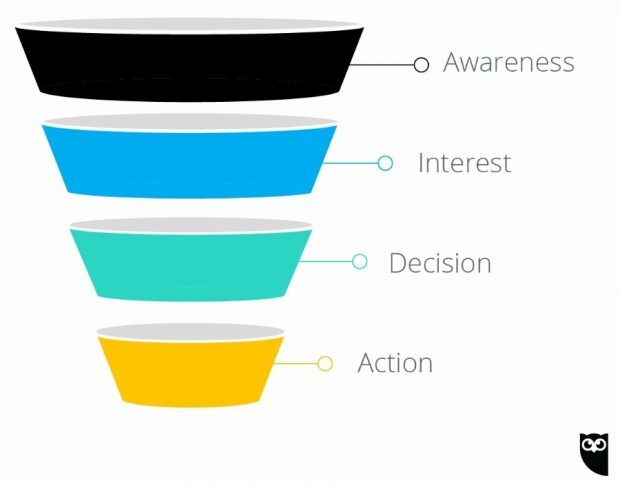 The final thing about building a social media sales funnel is to always remember that the goal of the funnel is to lead the customer to action (and then eventually advocacy). So I guess that means it’s time for my pitch. If you’re new to Hootsuite, you can see how our tools help you find and schedule great social content and measure its impact—all on a single, secure platform. Test Hootsuite out with a free trial here. If you already have a Hootsuite account, you might like this expert guide to building a social following. The guide contains interviews with three world-class social media professionals. No fluff. No tired tactics. It’s packed with super-practical advice including the exact publishing schedule Mari Smith (the world’s top Facebook expert) used to build a global following.